This starter kit contains everything that you will need to ferment and bottle a 40 pint/23 litre batch or beer. White plastic tap for fermenter with a handy sediment trap. Polycarbonate bottling stick with a valve at the bottom. Bubbler airlock for fermenting vessel. Grommit for sealing an airlock in a fermenting vessel lid. Triple Scale Hydrometer This hydrometer is 230mm long and has three scales. Twin lever 26mm crown capper, heavy duty with a magnet to keep the cap in place. 30 Litre fermenting bucket, 2-26 litre graduation, strong metal handle and airtight fitting lid. STAR SAN is a high foaming, acid anionic, no-rinse sanitizer. Approx 200, just what you need for bottling. 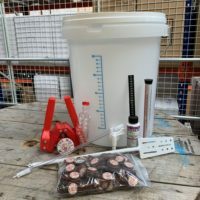 This kit contains everything that you will need to ferment and bottle a 40 pint/23 litre batch or beer, cider or wine. 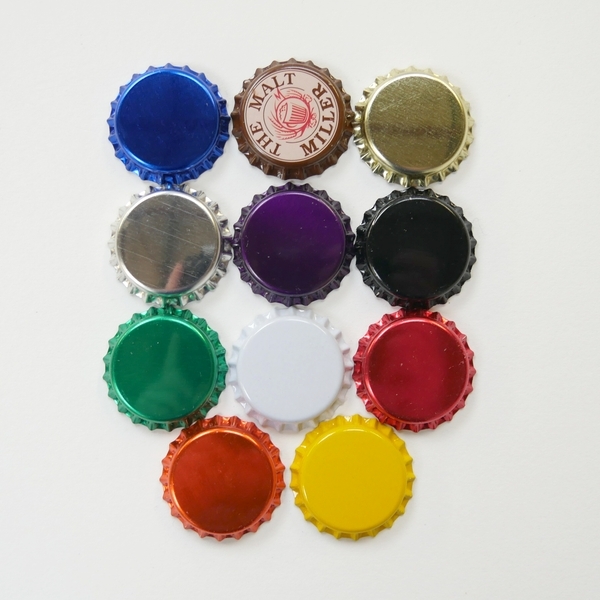 We have not included bottles as they are so widely available recycled from pubs and your own consumption. The supplied 26mm crown caps can be applied to any regular 500/330ml commercial beer bottles using the hand crown capper and of course the whole kit can be cleaned, then sterilised using the included sodium percarbonate and no rinse sanitiser. Once used the cleaned kit can be stored with the taps removed and the fermenters nested inside each other and will take up very little space.